Missed the federal budget last night? As a maiden budget by treasurer Josh Frydenberg and an upcoming election announcement looming within weeks, here's what you need to know about new incentives and proposals affecting Australian SMEs. The popular instant asset purchase deduction has been extended into another financial year and the maximum eligible asset value has been increased from $25,000 to $30,000. Under the scheme, eligible businesses are allowed to instantly deduct the purchase of business assets under the threshold instead of depreciating it's value over time. In addition, eligible businesses that may claim the instant deduction has been widened to include those turning over up to $50 million per year - up from $10 million previously. Under a proposed $525 million government proposal to overhaul Australia’s Vocational Education and Training (VET) system, the government has promised to create up to 80,000 new apprenticeships by 2024. In addition to business incentive placements, apprentices in trades including baking, bricklaying, carpentry and plumbing will receive $2,000 incentive payments under the scheme. An additional $60 million of new grants for Australian SMEs to export overseas was allocated in the budget announcement, in order to help businesses take advantage of new free trade deals signed by the government. A raft of new initiatives were announced to empower the ATO to collect better company earnings data and crackdown on the black economy. 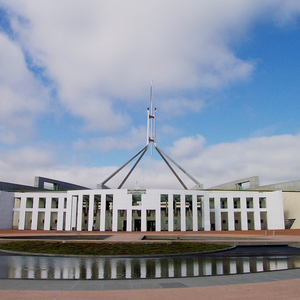 From July 1, 2021, the government is proposing new requirements to lodge an income tax return to the Australian Business Register in order for businesses to retain their ABN. The measure is intended to increase income data collected for ABN holders, in addition to new requirements from July 1, 2022 for businesses to 'confirm the accuracy' of ancillary details of ABN applications annually. While the government announced extended payments to help groups such as Newstart recipients tackle the rising cost of energy, no targeted energy cost initiatives were announced to assist businesses. Make it Cheaper Australia can help your business find and secure cheaper energy rates and reduce your costs by switching retailers. Talk to us today on 1300 965 658.